Luckily however, weather was looking promising to the north and west of us. Blue, sunny skies were in the forecast for Erie, PA. So even though the beach was to the east and steelhead season has long since been over... we awoke Thursday morning to pack the car and head northwest to Erie. 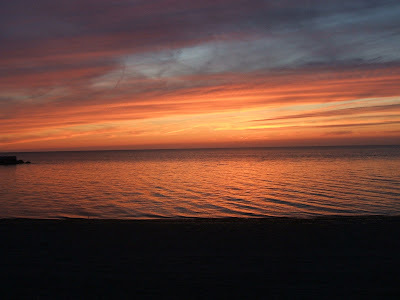 Even though Erie PA is probably best known for its walleye and steelhead fishing... 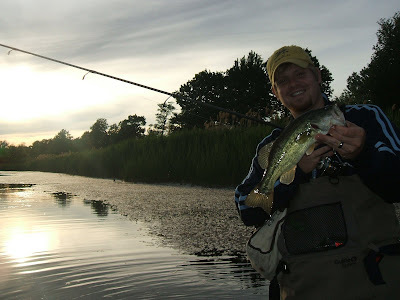 There is also some great bass fishing in the area. 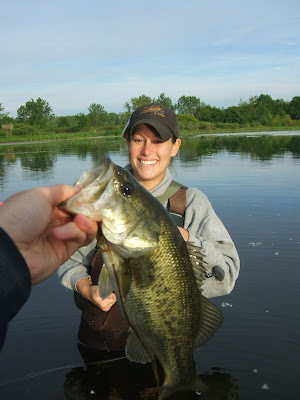 Presque Isle Bay is alive with largemouth bass, smallmouth bass, and loads of sunfish, bluegills, perch and many other species. And in addtion to the great fishing in the bay, many of the local tributaries ( the same ones we fish for steelhead) also receive a run of smallmouth bass in the late springtime. Neither Marianne or myself had ever fished for bass in Erie but we had decided to give it a try. 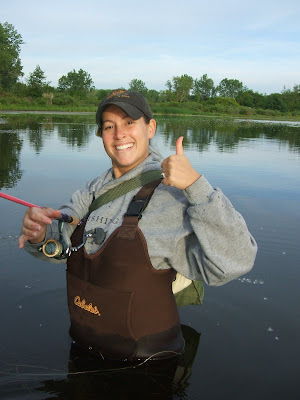 Friday morning we woke up, had breakfast at the hotel, and headed out to Elk Creek to chase some smallmouth... Neither of us are early risers, so our arrival to the creek was a little bit delayed. Still, we found plenty of fish. Elk creek was running low and clear... which was actually pretty nice because it showed us what and how many fish were actually in the creek, and it also made sight fishing possible, which is pretty exciting-- or frustrating-- take your pick, hah! We didn't catch a lot of fish but we both ended up with a couple decent-sized smallies. Marianne caught a steelhead, which was a pleasant surprise... and pretty rare occurance for the tributaries in month of June. And I also caught a hungry little red-eyed rock bass. 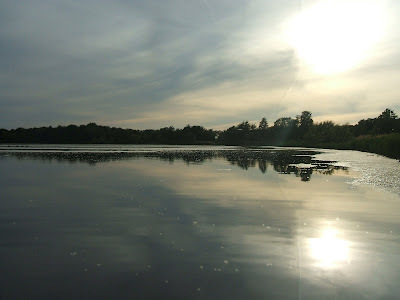 In the afternoon, we spent some time in a futile attemp to catch some yellow perch... which we may have had a chance at had we been able to get a bait past the swarms of gobies that seemed to blanket the bottom of the channel entering Presque Isle Bay. 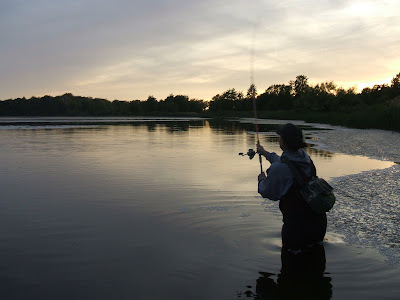 Then later at sunset, we ventured back to the area we had fished the previous evening, again donning our waders...and paying our largemouth friends a second visit.